The web interface of 3CX 15 is a bit different than version 14 but the configuration of a beroNet gateway with the IP-PBX is very similar. First things first: you need to find out the IP address of your gateway that you plugged to your LAN. To do so, run bfdetect. It enables you to find all beroNet devices on your network. 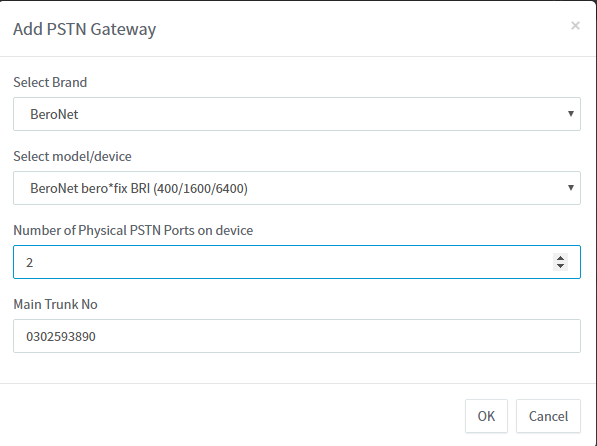 You can also use bfdetect to set a fixed IP address on your gateway (which is recommended). On the left part of the 3CX web interface, click on “SIP Trunks”. Enter you main number in the text block “Main Trunk No”. 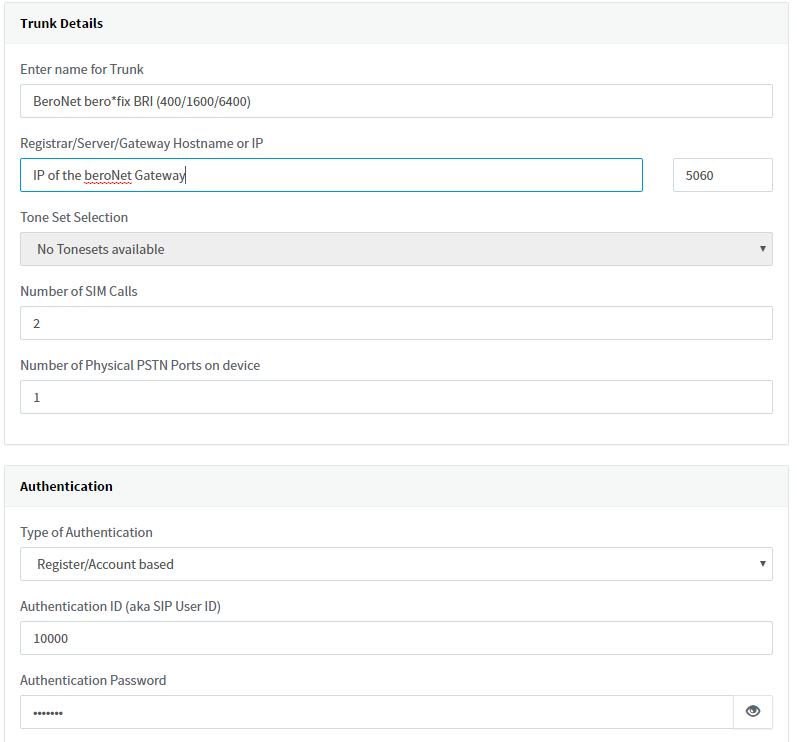 “Number of SIM Calls”: the number of simultaneous calls you can do via the gateway: 2 for 1 BRI port, 1 for 1 FXO port and 30 for 1 PRI port. Do not use the 3 way authentifications. The interface of the beroNet gateway opens. Enter your credentials (admin / admin). If you use version 16.x, the necessary information are already filled in. Otherwise, you need to enter the IP address of the 3CX, the User and Password set in the authentification part of the 3CX and set hardware information of the VoIP Gateway. Save and activate the settings to finish the configuration.